It was a long time ago, but our little street was right where it is now. The houses were new then, built to the scale of the day at around a thousand square feet. Our street can be seen in a 1949 aerial p hoto, along with a locomotive belching smoke, heading south under the Berne Street overpass. 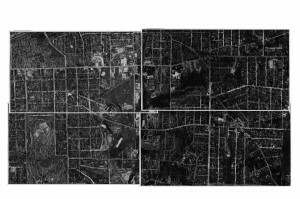 Those familiar with Southeast Atlanta will recognize Grant Park, Oakland Cemetery, East Atlanta Village and parts of Cabbagetown, Reynoldstown and Edgewood. 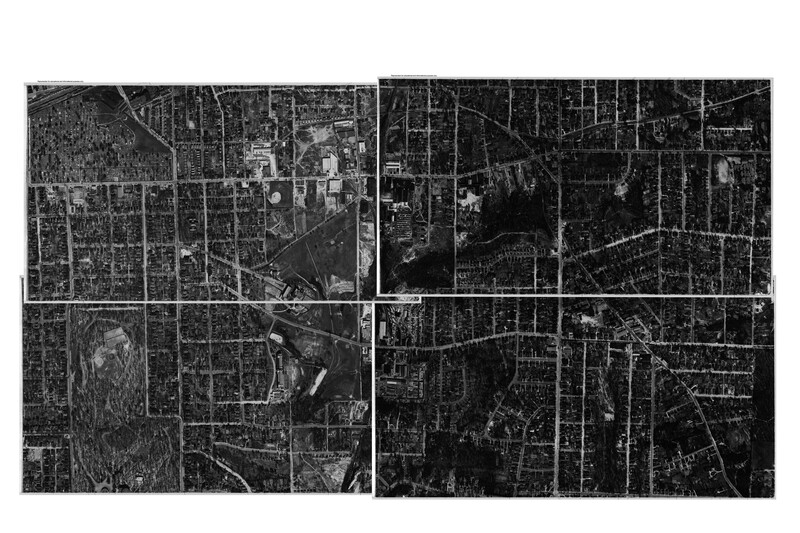 The sites and neighborhoods look much the same as they do in current satellite images. Although Interstate 20 did not yet slice through this part of the city, two years before the Dodge pickup was new, automobiles were everywhere. In 1951, times were changing in post-war America. Average family income was $3,700 per year, allowing Americans to buy their first vehicles and televisions. Some families on our street saw the first episodes of “I Love Lucy” in 1951. It was not a time of enormous prosperity, yet unemployment was low and hard work seemed to pay off. Dodge marketed the B3 line of pickups and panel vans for just that – work. “Dodge Pickups and Panels are job-rated to increase your profits,” reads the 1951 dealer brochure. While the sales literature also touts the B3’s comfort, it certainly feels like a workhorse compared with modern trucks. 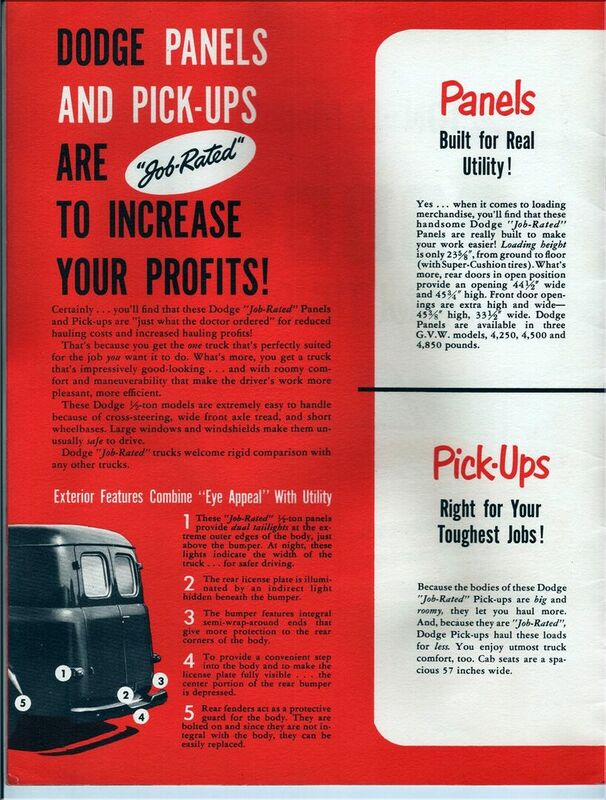 The brochure lists the flathead straight six as capable of producing 97 “gross” horsepower. But a chart shows that the motor is mighty if not quick-revving, with 175 lb-ft of torque at 1600 rpm. 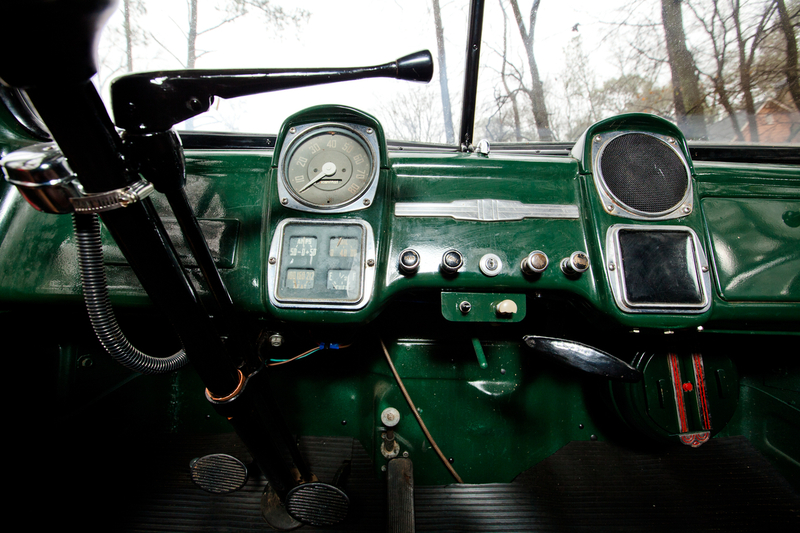 A three-speed, column-shifted transmission transmits power in Rebecca’s B3. A four-speed was optional. “Job rated” meant tough, versatile and economical. 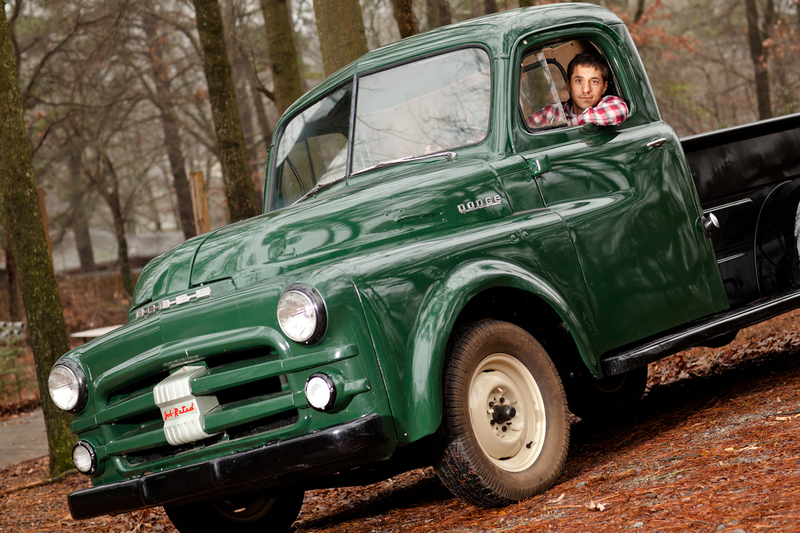 Obviously, a truck that survives sixty years is tough, and Rebecca’s B3 shows the stout construction that helped it last. Nearly everything is steel, most of it heavy-gauge. Fenders can handle the weight of an adult. The bed is lined with thick hardwood, and while it’s not too long, it is a little over 48 inches wide. 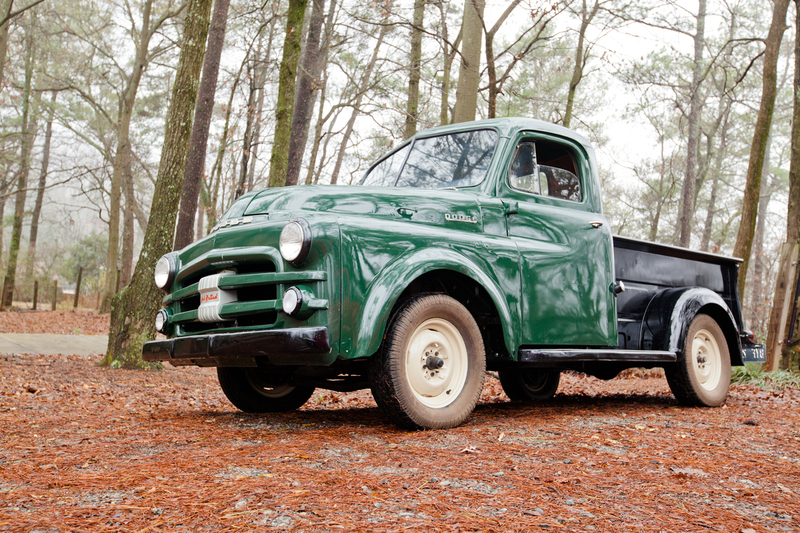 Of course, the B3 line came in a variety of body styles other than the pickup, including not just the panel version but a milk delivery van, a woody station wagon and several cab-chassis applications. Economy was partially credited to “hotter, resistor-type spark plugs.” I did not test fuel economy, but I’d be glad to run through a test tank of gasoline priced at the 1951 rate of nineteen cents per gallon. Instead of driving around the modern city, we took the B3 to the edge of our neighbor Red’s little urban farm for photographs. Roosters called out as photographer Dave May captured the pickup in early morning dew. The world has changed so much in sixty years. Yet, driving down our street in the ’51 took me back momentarily to a time I was born too late to experience. I could easily imagine that the B3 was brand new, carrying us, comfortable, warm and dry, to check on the chickens and collect the hens’ eggs. Everyone knows vehicles can transport passengers across space. Old cars seem to travel through time, too. Special thanks to Rebecca Kameika, owner, and Dave May, photographer. Dave May Photography’s photo gallery. Restoration by Chris Owens, Fayetteville, Georgia. Very cool! 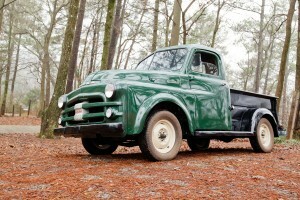 How about a little credit for my brother, Chris Owens of Fayetteville, who did the complete restoration of that truck! He spent many hours redoing it from the frame up before selling it to Rebecca’s family. Yes, Chris is an amazing guy. I have always admired him. He did a great job on the truck and we are sO happy to have her back. Thanks. Enjoy, Rebeca! Thanks for pointing that out, George. I updated the post. 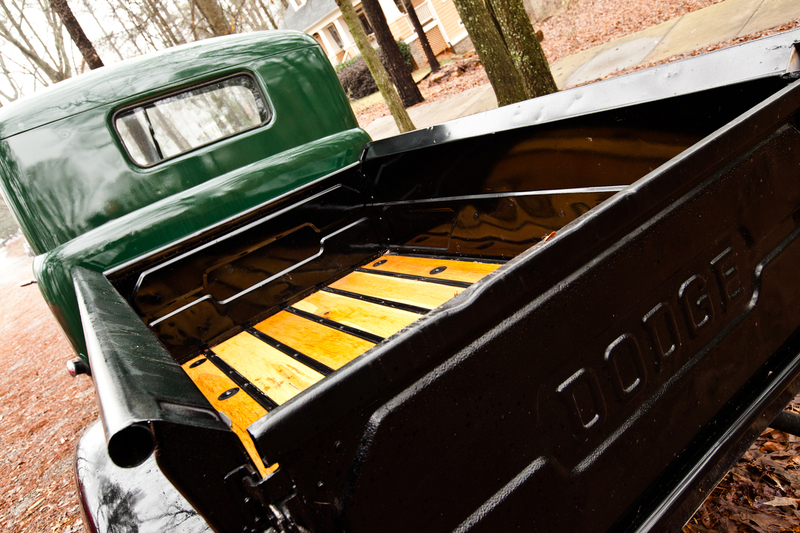 Nice work by Chris restoring this gem! “I grew up about 150 yards from my grandparents, so I was up at the farm all of the time. We would drive that truck everywhere. It is where I learned how to drive a stick . . . through the fields and dirt tracks to the two milking barns, not on the road. At that time, our lane was a ½ mile dirt road off of the main road and went by my aunt and uncle’s house, our house, then ended at my grandparents. They had about 275 acres of woods and fields and he sold milk and cream to the dairy association and vegetables at the Farmer’s Market. When I said I could smell the truck, it wasn’t as much the truck smell that I remember, I guess, as the smell of leather, oil, and sweat. Man, that sure takes me back to a sweeter time . . . at least it seemed like it then! Sorry for rambling, but looking at that old truck sure took me on a trip back to a lot of good memories. job-rated sounds like some kind of newfangled marketing gimmick. it’s good to see that it meant something once upon a time. also, surprised to see as many cars on the road as there were. that was a nice look back to a different time/same place. I have a 1949 Dodge truck. Have been driving it for 25 years. I live in middle Ga. I need another rear end . I can rebuild it if needed. Looking for a rear end with a 3.55 or 3.90. I can replace the ring and pinion if needed. I was thinking the very same thing yesterday while driving my ’72 Saab 96 to work. Cars are one of the closest things we have to time machines, driving a vintage car is like communing with the past. 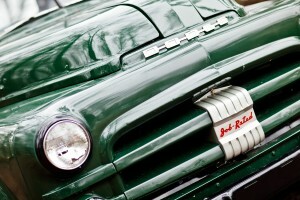 That’s a very cool Dodge pickup, definitely don’t see much of those compared to Fords and Chevy/GMCs of the era.